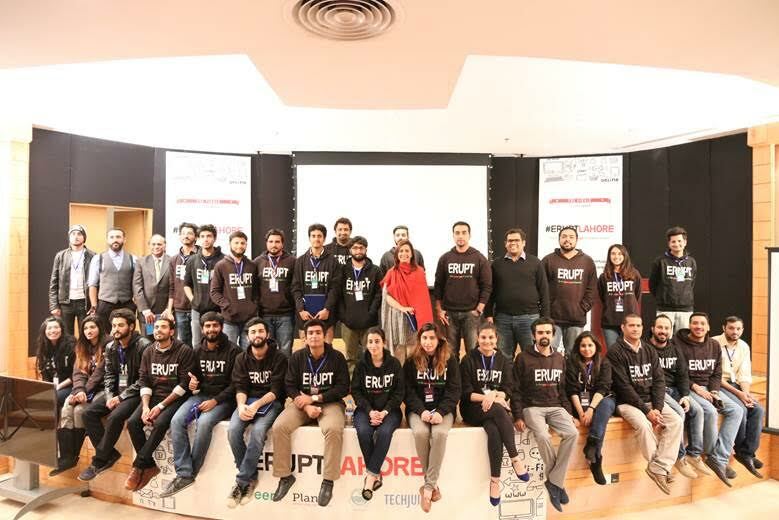 Plan9 and Careem hosted ERUPT; the first student-based entrepreneurial road show. The purpose of this venture was to further strengthen the entrepreneurial ecosystem in Pakistan. Under the umbrella of ERUPT the stakeholders were able to build valuable relationships with key opinion leaders across universities & tech industry and brought the student body up to speed with the revolutionary entrepreneurial ecosystem. 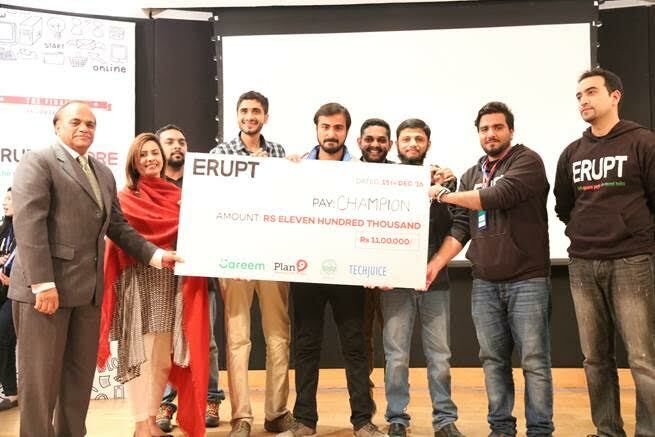 ERUPT is a business idea competition that was held in 10 Universities of Lahore. After mini challenges that consisted of a 2 day event at each institution with first stage filtering, mentoring followed by second stage filtering, a total of 12 teams reached the ERUPT finale. These startups are the best the universities had to offer and the Erupt finale had them compete against one another. The Erupt finale kicked off with a panel talk on the role universities can play in promoting entrepreneurship. On the panel we had Mr. Adnan Noor, who is heading the department of Computer Science at ITU, Mr. Zaeem Yaqoob, Director for Student Affairs and External Relations at BNU and Mr. Farhan Riaz who is leading the incubation center TIC at UET Lahore. Mr. Zaeem Yaqoob said that the change has to be more deep rooted. “You have to be sensitive to what the external environment. Before bringing the entrepreneurial culture there has to be passion and sensitivity. The role of the university is to instigate these elements in their student body. The success of entrepreneurship within the institution cannot be measured through KPI’s but rather by how empowered the students feel to run their own ventures”. 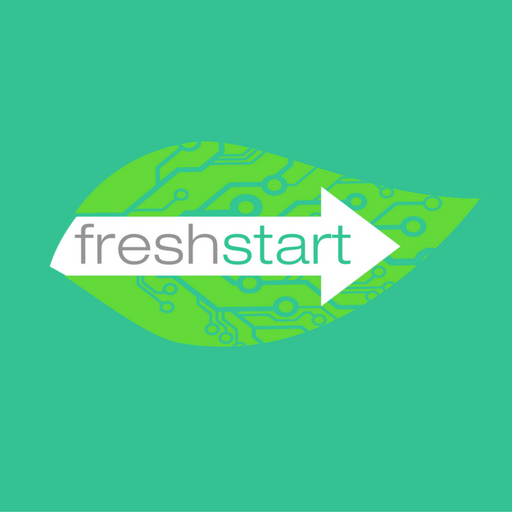 Mr. Farhan Riaz who has tested the startup world said: “Money is the easy part. Every business man knows where money is and what venture is making money. When the industry would become responsive, more people would start venturing into it”. After a tough competition, EyeAutomate was announced as the ERUPT Champion. As a prize they got direct incubation at Plan9’s 9th cycle and received a prize money of Rs. 1,100,000 from Careem and Plan9. As runners up, QayaamPK and The Support Group received wild card entries into Plan9’s 9th Launchpad. About the road show Dr. Umar Saif, Chairman Punjab Information Technology Board commented: “Such initiatives reach ideas at the grass root level and pave way for the youth to test the entrepreneurial ground”.